Former Isle of Man resident Nigel Mansell will return to the island in March to be guest of honour at the IOM Sports Council Awards evening. The 1992 Formula One World Champion sold his cliff-top home at Port Erin for £3million in 1995. Sports Council executive chairman Geoff Karran said: "We are absolutely delighted that Nigel has agreed to come over for our sports awards ceremony." "I am sure his presence will greatly enhance the evening." Karran hopes local racing driver Alex Lloyd, who has just been signed for the IndyCar team Chip Ganassi Racing will pick up some tips from the former IndyCar champion. The 22 year old from Santon is leading the charge of young Manx motorsport competitors. "We've got a history of young up-and-coming people in karting which is of course the route into cars," Karran told Manx Radio. During his time on the island, Mansell became a special constable with the Isle of Man police force. 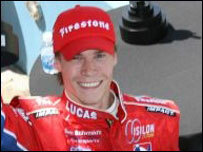 The 54-year-old became IndyCar champion in 1993, before returning to Formula One for a final season. 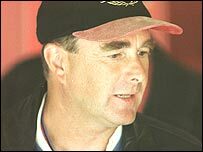 The official Formula One website says of Mansell: "No driver fought harder to get into Formula One racing and few fought harder when they got there. "Hugely determined, immensely aggressive and spectacularly daring he was one of the most exciting drivers ever."